For anyone who was part of the overflow crowd that descended upon Cars&Coffee/Irvine on Saturday morning February 2, most likely the first vehicle you viewed was a yellow and black Porsche GT3 Cup car positioned at the end of the entry driveway, courtesy of the Orange County, CA based Motorsports shop TruSpeed (www.truspeedmotorcars.com). As I pulled into the driveway and approached the TruSpeed car, even under low light conditions, I could see what appeared to be battle scars acquired from competition. I then recalled seeing a shot of a similar car from the previous weekends race coverage of the 24 Hours of Daytona, on the Speed Channel. So after parking and grabbing a quick bite, I was off to check out the Porsche race car. As I approached, I recognized several friends from TruSpeed’s staff: Terry Brewer from their Sales Department, and Dennis Aase. 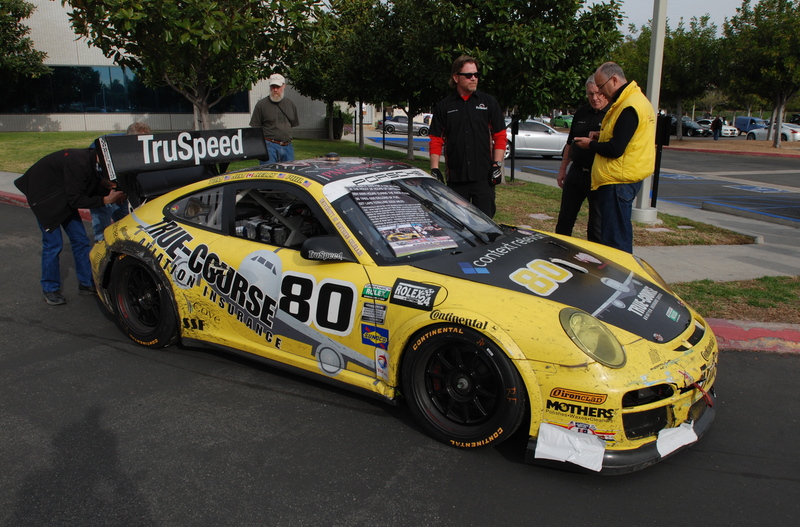 one of Southern California’s premier Porsche race car drivers, and currently Truspeed’s Racing Manager. ( I first met Dennis back in 1972, while purchasing parts for my 1966 Porsche 911, from his company ( Aase Brothers Dismantlers), that specialized in used Porsche parts. I also would run into Dennis throughout the 1970’s and 1980’s at the IMSA series races when they came to the west coast. 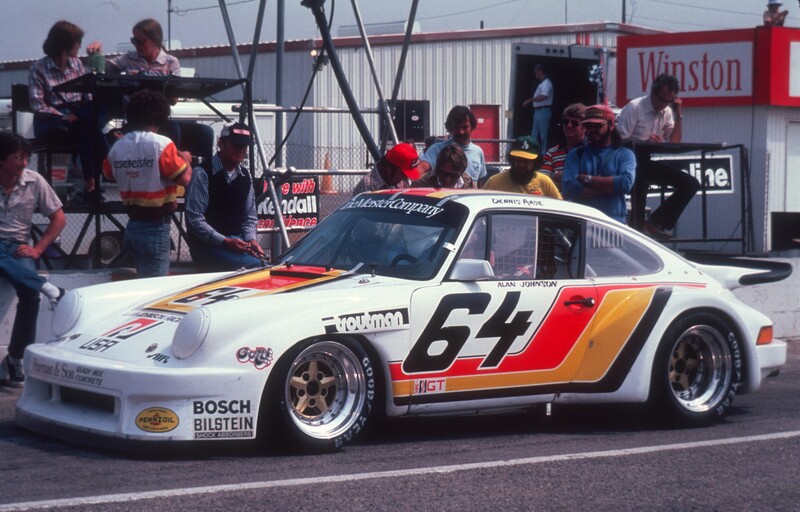 Dennis campaigned a 2.5 liter Porsche 911 in IMSA’s GTU class ( which can be seen below): his Porsche 911 on pit lane, taken during practice and qualifying for the 1980 Los Angeles Times 6 – hour enduro held at Riverside Raceway. 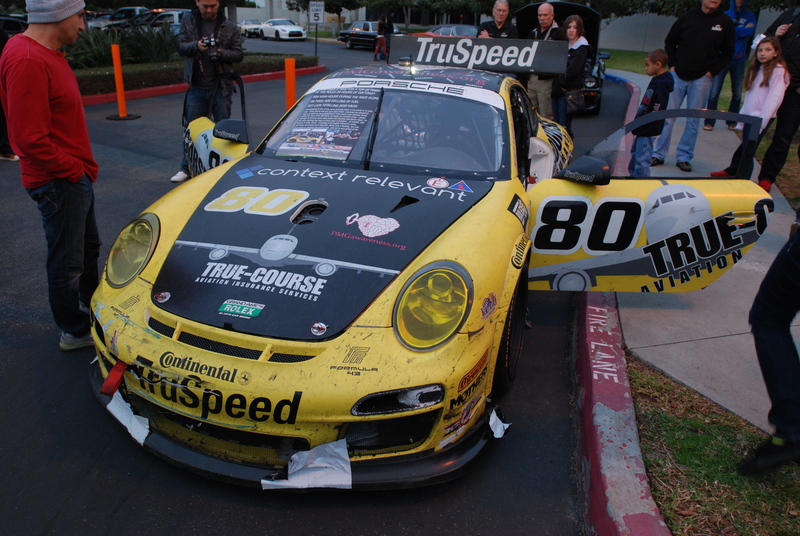 Now back to the TruSpeed race car…Clearly this GT3 Cup Car had been through a battle, so my first question to Terry was to ask about this car. 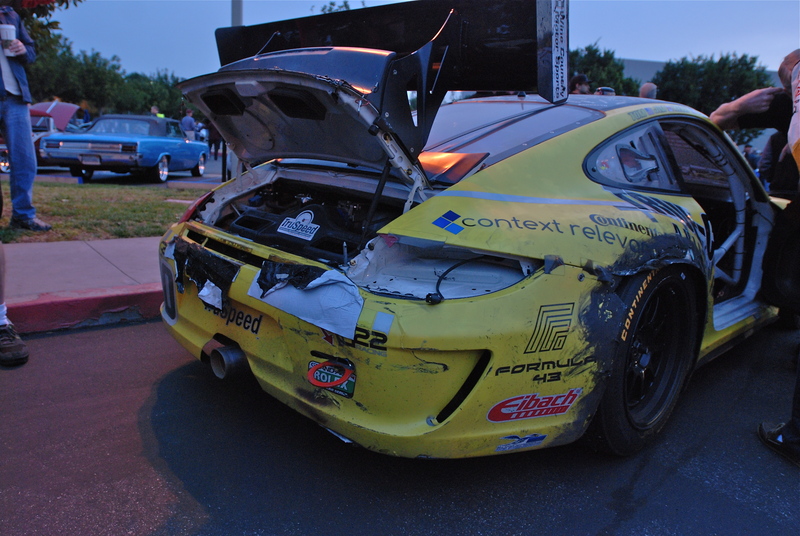 He verified that it was in fact the Porsche GT3 Cup car that just competed at the 24 Hours of Daytona, and that even with the extensive damage sustained, their car had finished the race in 29th place overall, and 19th in the GT class. While I was shooting the car and talking with Terry, Dennis walked over and joined in on the conversation. 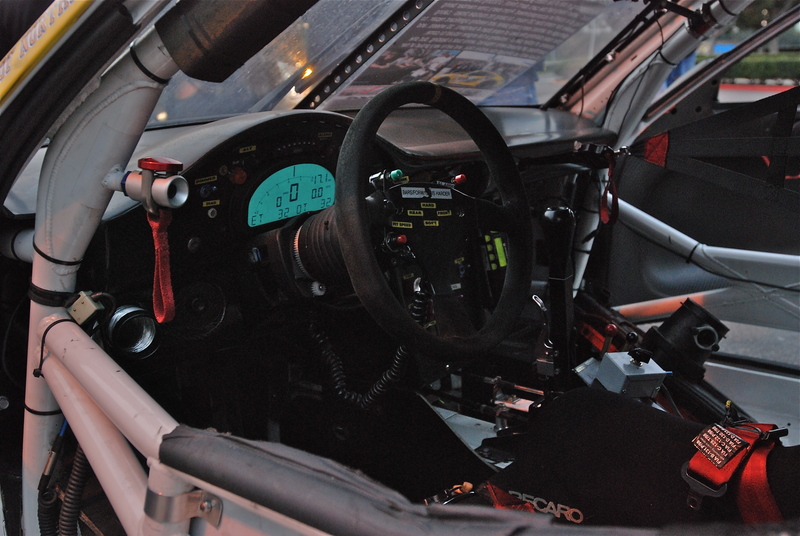 The vantage point and office for each of the team’s four drivers, during their respective stints, shared over the duration of the 24 hour enduro (above). Having observed the damage sustained to the entire car (front, sides and rear), I had to ask Dennis about the visible carnage. Dennis proceeded to tell me about the frustrations that the team had experienced and endured (the loss of one wheel at speed, as well as being hit multiple times by their fellow competitors, with one of the last impacts sustained to the rear, causing enough damage to crack one of the rear motor mounts and even bend the red, rear engine support cross-bar (as seen below). 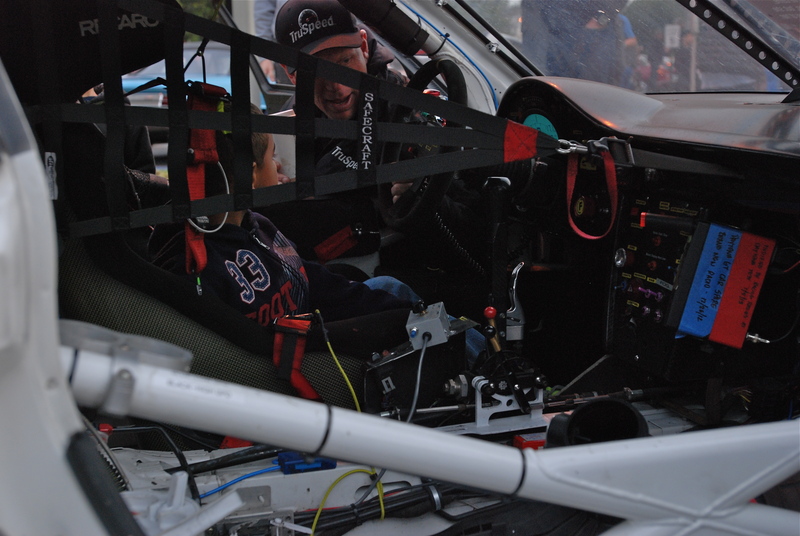 While Dennis was sharing more details regarding their race weekend, one of the TruSpeed crew members present was briefing a future race driver (seated behind the wheel), on the details and features found within the cockpit of a current Porsche GT3 Cup car (above). 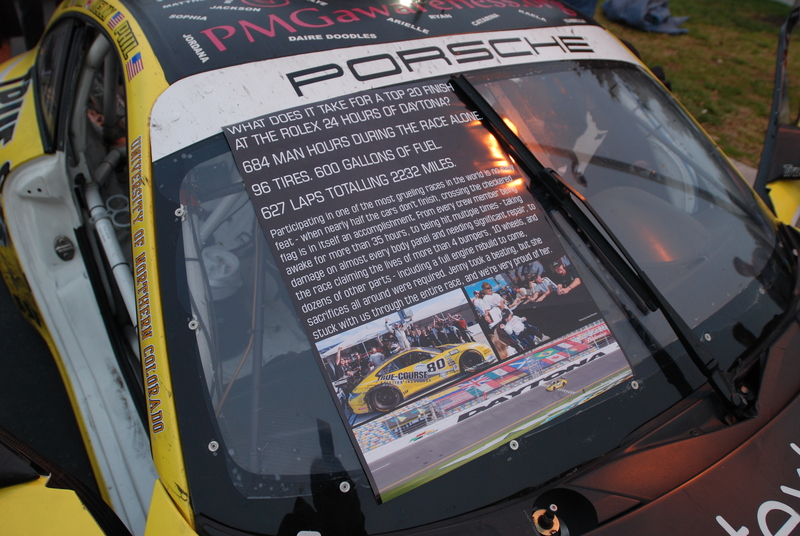 TruSpeed had even prepared a printed summary sheet, outlining the efforts required and milestones they achieved while competing in the 24 Hours of Daytona race, which was displayed on the windshield (above). 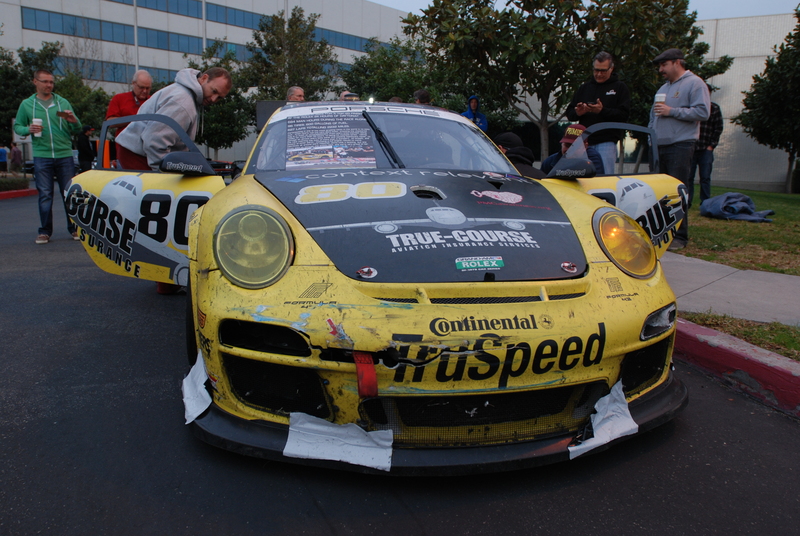 Damaged nose with front splitter bandaged using racers tape (above). 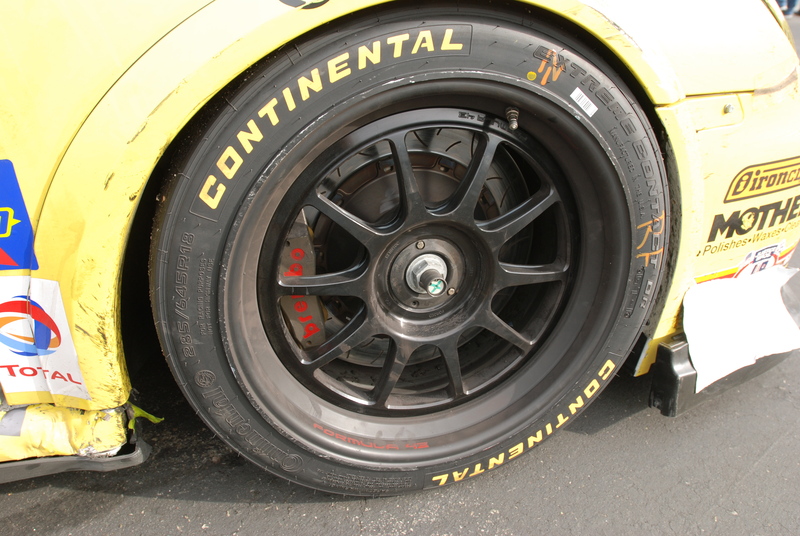 An example of the cars front wheel, complete with racing centerlock hub, Brembro brake caliper, race wheel and tire (below). This entry was posted in car shows / special events, Cars&Coffee / Irvine, Porsche, Porsche race cars and tagged Automobiles, Cars, cars&coffee/Irvine, photography, Porsche, Porsche GT3 cup cars, Porsche race cars by digitaldtour. Bookmark the permalink. Thought it was going to rain. Also, very cold!!!! Emailed Bruce and gave him the car info. Hopefully we’ll all three get picked for the event. Thanks for the tip. See you soon!! I hope you and your wife are well, and look forward to visiting with you at C&C. This coming weekend is supposed to be warmer and sunny, which means another large turnout once again at C&C. Thank you, I’m glad that you continue to enjoy my blog postings. Fantastic! Just found your blog… and have to say that it’s going to become a regular stop for me. Thank you, I’m glad that you enjoy reading my blog postings. 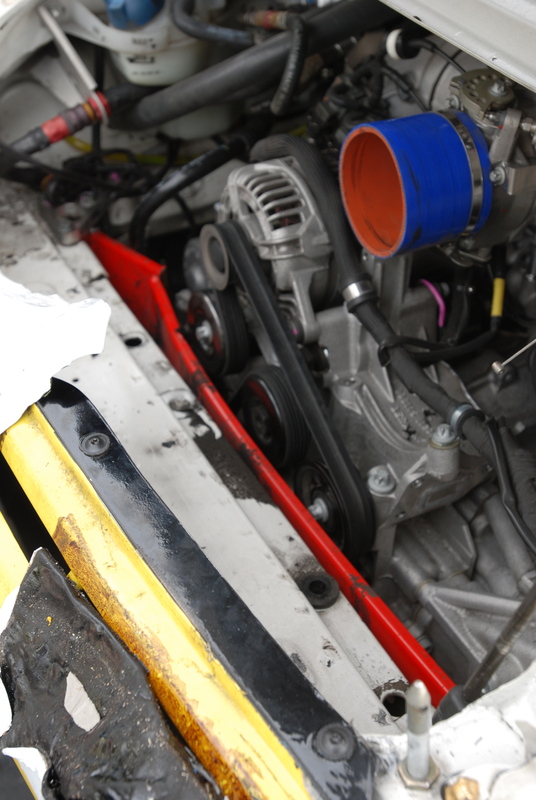 I visited your website, and if I’m not mistaken, I saw your rendering of the hemi Duster showcased on the cable series Powerblock, specifically for their show “Muscle Car”. Very cool renderings…I’ll have to watch for future examples of your work on their upcoming shows.